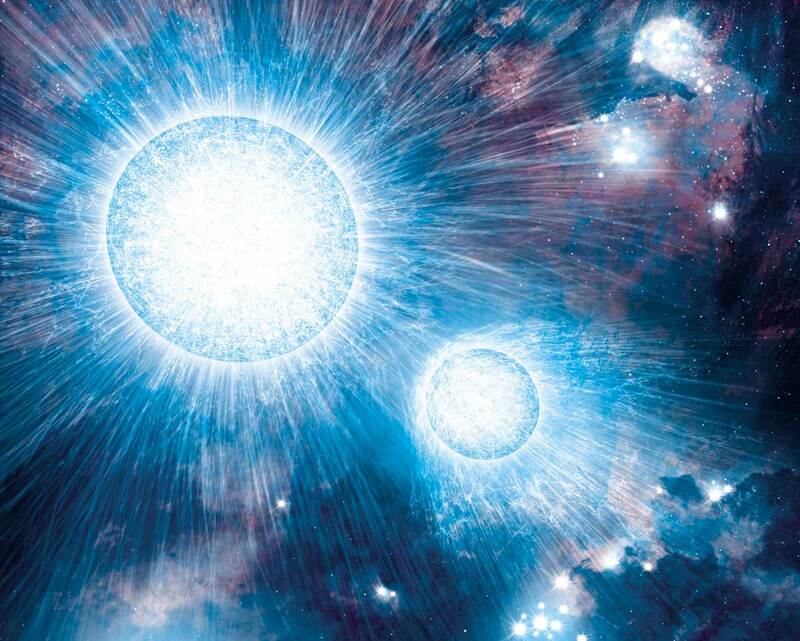 What is the Universe made of and how did it evolve? 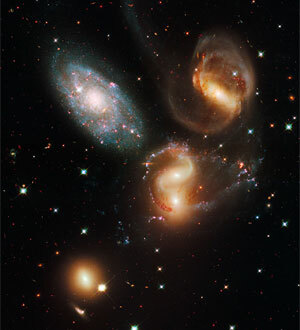 How do galaxies, stars and planets evolve? What are the laws of physics in extreme conditions? e-MERLIN observes an enormous range of exciting objects over a vast range of distances, from giant stars and supernova-remnants within our own Galaxy, nearby star-forming galaxies, to whole populations of remote Active Galactic Nuclei (AGN) and ancient starburst galaxies. e-MERLIN’s sub-arcsecond resolution makes it perfectly suited to observing these remote extragalactic sources, enabling it to discriminate these enigmatic objects by direct morphology. The above image is of M82, the 'Cigar Galaxy', rendered here at 1.5 GHz with 300 mas resolution. The high-resolution e-MERLIN baselines enable individual supernova remnants to be resolved, allowing measurement of recent star-formation rates. e-MERLIN's ideal sub-arcsecond resolution and high-sensitivity enables the imaging of populations of galaxies out to z~5 enabling identification of galaxy emission mechanisms to determine global star-formation rates across cosmic time. Investigating galactic sources closer to home includes giant stars, and proto-planets outside our own solar system. 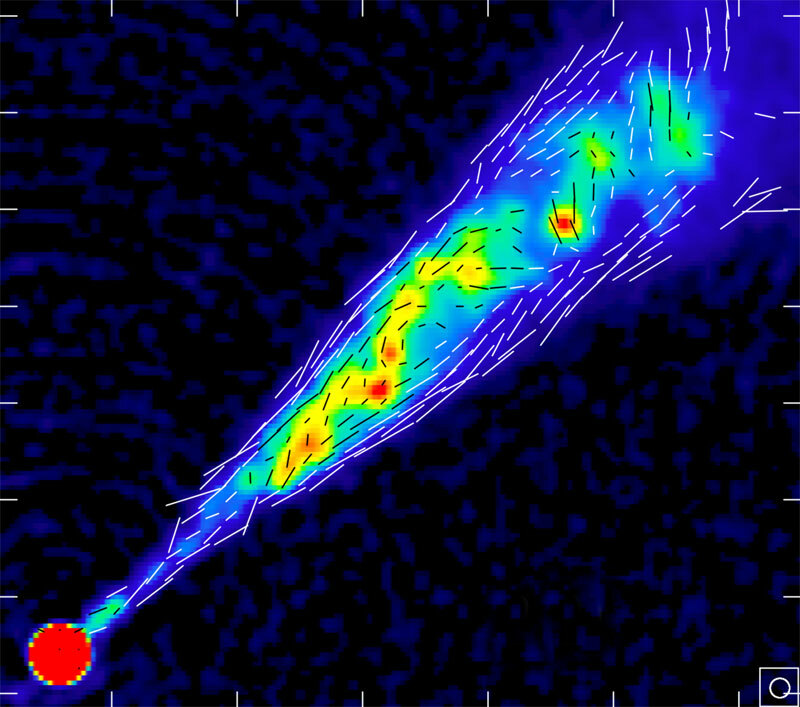 e-MERLIN's astrometric study of radio-pulsars enables a detailed investigation into the physics of neutron star-formation during supernovae explosions within our own Milky Way Galaxy. The extreme Active Galactic Nuclei (AGN) sources with associated jets are rendered out to z~5 and provide vital data to determine their role in galaxy formation. Gravitational lensing, first pioneered here at Jodrell Bank, provides our most powerful diagnostic of the distribution of dark matter on galaxy and galaxy-cluster scales. 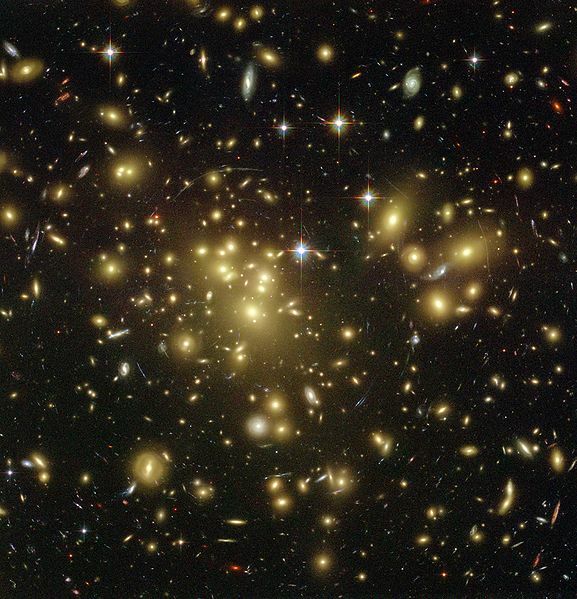 'Strong lenses', caused by super-massive gravitating sources, provide greatly magnified views of extremely distant objects and their sub-structure, whilst 'weak lensing' of whole clusters of galaxies provides vital information on the distribution of Dark Matter across the Universe. 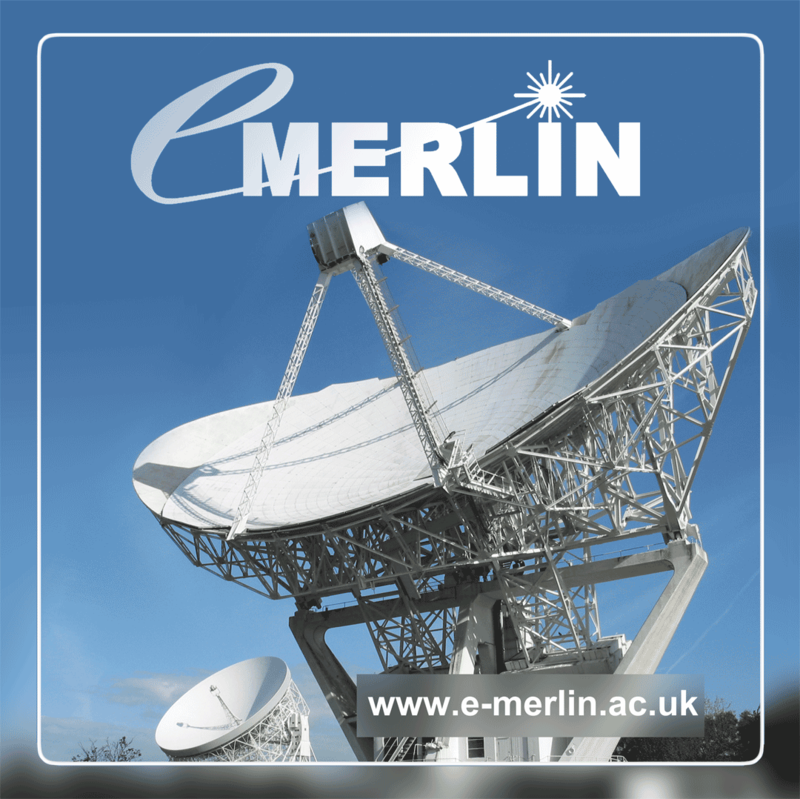 Numerous publications have already been produced involving observations from e-MERLIN, either solely or as a part of the European VLBI Network. 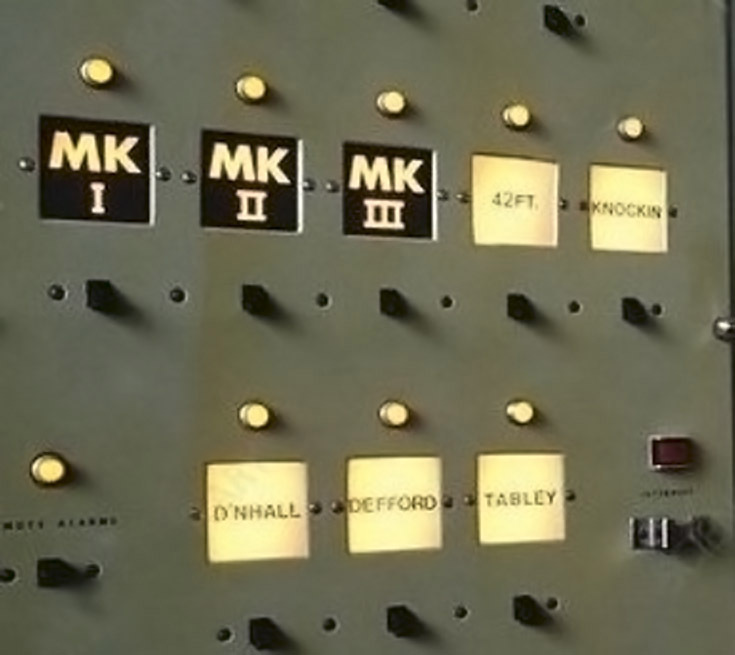 A list of some of these is available at the astrophysics data system. 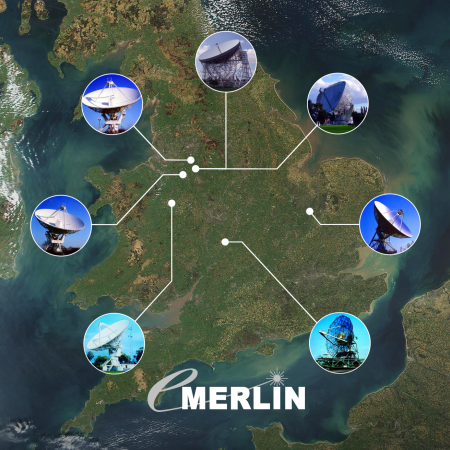 To capitalise on e-MERLIN's unique technical capabilities, the STFC have commissioned twelve long-term super-projects to help answer the big questions. These Legacy surveys will provide exactly that, a long lasting legacy of observations helping to solve these frontier astrophysical and cosmological mysteries. The twelve Legacy Projects have been chosen to capitalise on e-MERLIN's great strengths: its high angular-resolution and high-sensitivity at centimetre wavelengths. Some of the projects are taking wide-field mosaics of the Cosmos examining thousands of objects for statistical analyses. Others engage in more targeted views of individual objects in unsurpassed detail. 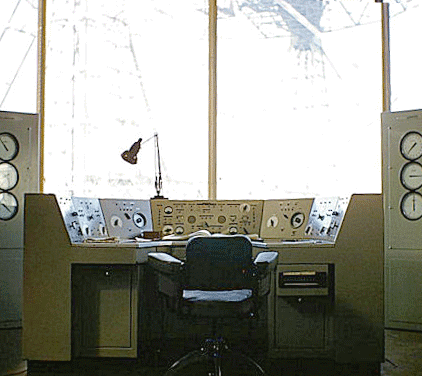 The e-MERLIN Legacy Surveys are already well underway with thousands of observations already taken. An ambitious Legacy survey to exploit e-MERLIN's unique combination of sensitivity and spatial resolution to study the formation and evolution of thousands of star-forming galaxies and AGN out to redshifts of z ~ 5. It is now well established that jets, on all scales, are key astrophysical phenomena and in addition they provide a mechanism for coupling the output of AGN to their large-scale surroundings. These are key ingredients in understanding the role of radio sources in the evolution of structure in the Universe and the production of high-energy cosmic rays. 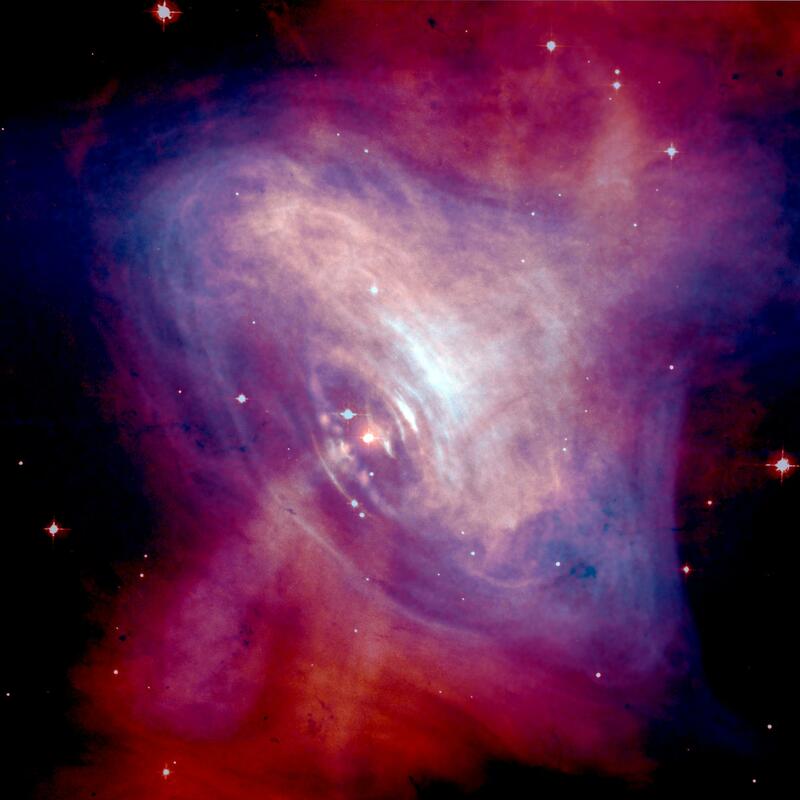 This e-MERLIN Legacy Programme is aimed at studying the physics of neutron star formation during supernovae and improving our understanding of Galactic structure. The broad philosophy of this Legacy programme is to provide the definitive parsec-scale, μJy sensitivity radio images of a large sample of well-known galaxies in the nearby Universe. As such this project will address numerous key science questions regarding Star Formation and activity in galaxies and is specifically designed to be a lasting Legacy data-set for the wider community. e-MERLIN is perfectly tuned to such studies as, even at low frequencies, its parsec-scale resolution, coupled with spectral information, allows excellent discrimination of even faint AGN inside large star-forming regions. This sample of gravitational lenses allows evolution of galaxy mass profiles to be studied out to unprecedented redshifts. Using well-proven techniques, we separate the dark halo and baryonic component of each lens galaxy to directly observe the build-up of stellar mass and its interplay with dark matter over this period. In the local Universe, some of the most fundamental properties of galaxies are found to be a strong function of environment, such as their morphologies or star-formation histories. 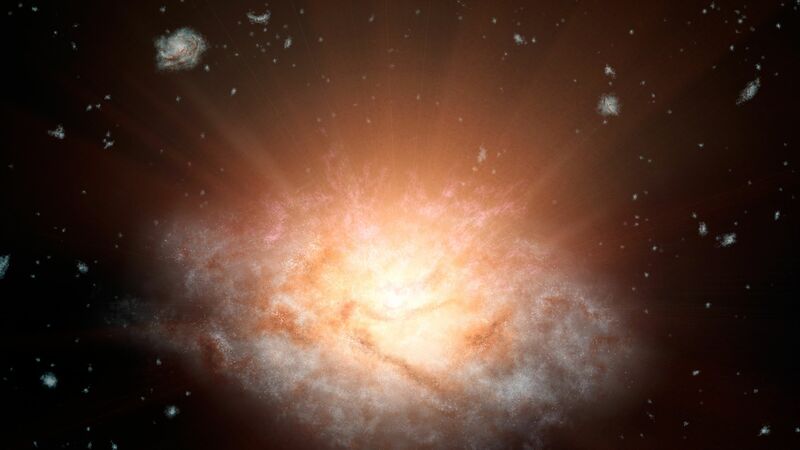 Yet it is still unclear whether these trends reflect the initial conditions of galaxy formation (nature) or more recent environmental processing of galaxies (nurture), and answering this question is essential for unravelling the physics of galaxy formation and evolution. This survey inventory sample systematically spans a range of evolutionary stages from sources deeply embedded in infrared dark clouds to mid-IR bright massive young stellar objects. These data will test both the physics of the feedback mechanisms and evolutionary models of massive star formation. A legacy survey observing 42 of the most luminous northern Luminous Infra-Red Galaxies selected from the IRAS revised Bright Galaxy Sample (Sanders et al. 2003). 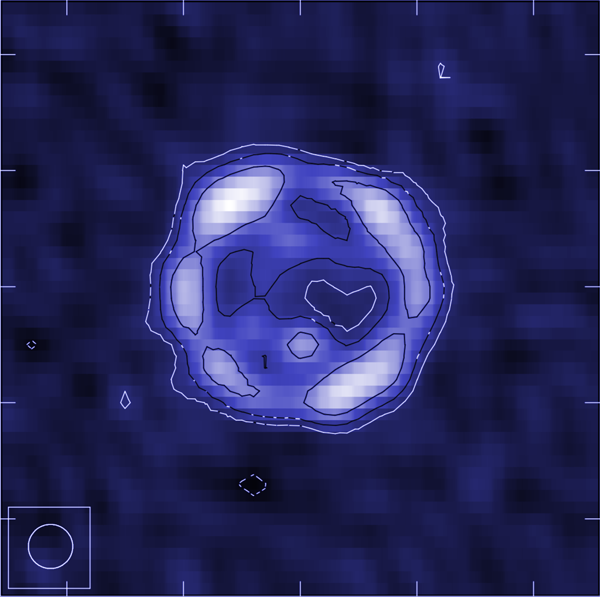 This survey will provide a high spatial resolution radio complement to legacy observations made with the NASA Great Observatories (GOALS program). 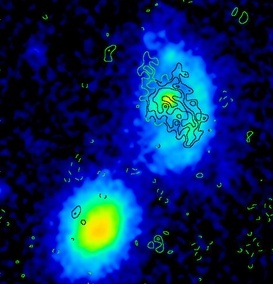 Using new techniques involving polarisation, this survey will allow us to probe the dark matter distribution of a super-cluster and, by defining a grid of rotation measures, its magnetic field structure. 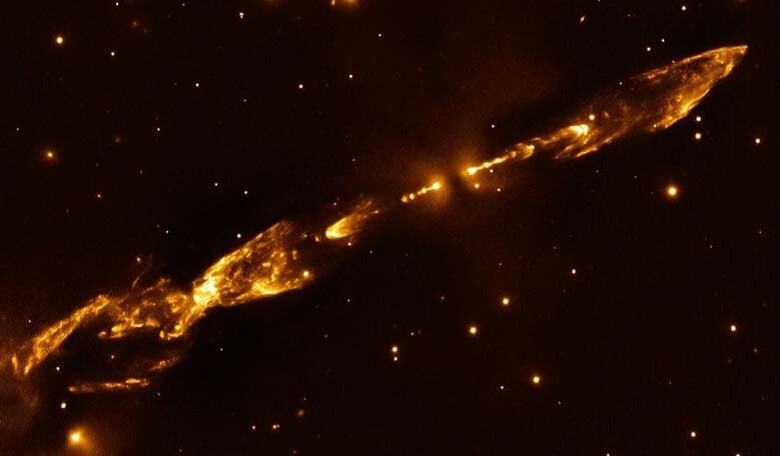 The Cyg OB2 Radio Survey (COBRaS) is designed to exploit e-MERLIN's enhanced capabilities to conduct uniquely probing, targeted deep-field mapping of the tremendously rich Cyg OB2 association in our Galaxy. The project aims to deliver the most detailed radio census for the most massive OB association in the northern hemisphere, offering direct comparison to not only massive clusters in general, but also young globular clusters and super star clusters. 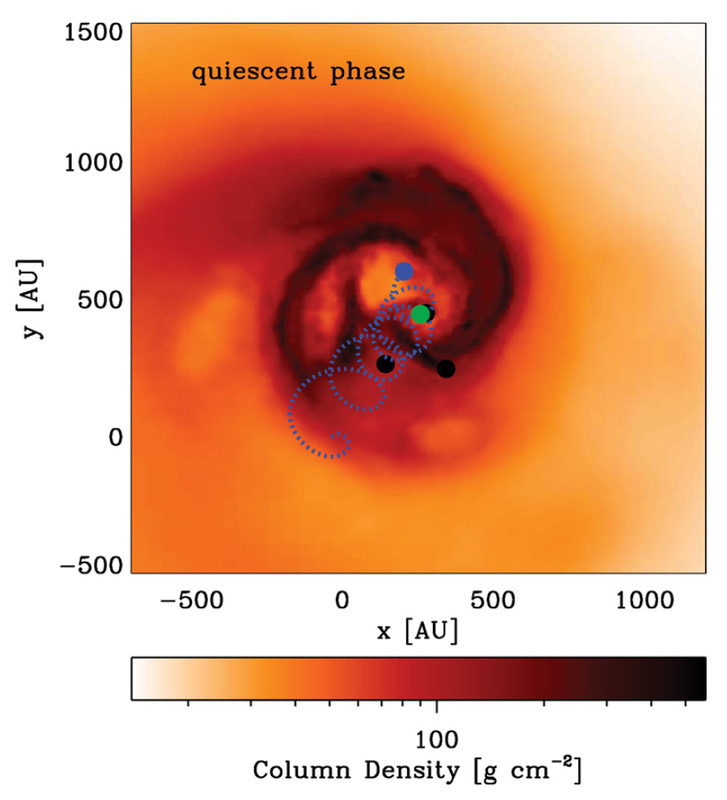 A Legacy Survey directly imaging the thermal emission from pebble-sized dust grains which will show where and when planet-core growth is proceeding, and identify actual accreting proto-planets. The program involves the development of the polarisation, mosaicing and phase referencing capabilities of e-MERLIN and the results will yield information which will guide the design of surveys with the SKA. 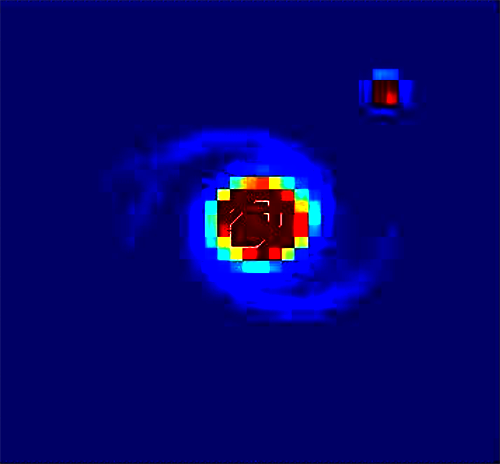 This programme takes advantage of the combination of sensitivity (1 μJy) and angular resolution (50 mas) of e-MERLIN at 5-7 GHz to image the free-free emission from a list of selected jets associated with low-mass protostars. The main goal of these observations will be to obtain unique information on their structure to test specific morphological predictions of jet models and to compare with matching-beam 43 GHz observations (50 mas) made with the JVLA that are expected to trace the dust from the disk.